The Annual Address, before the Massachusetts Temperance Society, Delivered May 27, 1838. Boston: Cassady and March, 1838. To the Members of the Congregation of Grace Church, Boston. An Efficient Ministry: A Sermon preached before the Sixty-First Annual Convention of the Protestant Episcopal Church in the State of Pennsylvania, in St. Andrew's Church, Philadelphia, May 21st, 1845. Relations of the Past, to the Present: A Discourse before the Ancient and Honorable Artilery Company on Their CCXI Anniversary. State Reform School: A Discourse Delivered in Christ Church, Hartford, May 23, 1852. Lectures on the Formation of Character. The Student's Preparation for Life: Delivered before the Students of Trinity College, Hartford, on Sunday Evening, Sept. 26, l852, and Published at their Request. Hartford, Conn.: F.A. Brown, 1852. Position of the Church: A Sermon Preached before the Convention of the Protestant Episcopal Church, of the Diocese of Connecticut, June 14, 1853, in Trinity Church, New Haven. New Haven: T.J. Stafford, 1853. The Benediction: A Farewell Sermon Delivered in Christ Church, Hartford, on the First Sunday in Lent, February 25th, 1855. Hartford, Conn.: F.A. Brown, 1855. Primary Charge to the Clergy of the Diocese of Rhode Island. Early Discipline and Culture. A Series of Lectures to Young Men and Women. Christian Culture. A Sermon in behalf of the General Protestant Episcopal S.S. Union, and Church Book Society, at Its Thirtieth Anniversary, Preached in Trinity Chapel, New York, on Sunday Evening, June 22, 1856. New York: General Protestant Episcopal S.S. Union and Church Book Society, 1856. The Preaching of the Word: Second Triennial Charge to the Clergy of the Diocese of Rhode Island. An Historical Discourse Delivered in St. John's Church, Providence, R.I., on St. Barnabas's Day, June 11, 1872, in Commemoration of the One Hundred and Fiftieth Anniversary of the Parish. The Mission of the Episcopal Church: A Sermon Preached at the Opening of the General Convention of the Protestant Episcopal Church in the United States of America, in Christ Church, Philadelphia, Wednesday, October 3, A.D. 1883. Philadelphia: McCalla & Stavely, Printers, 1883. A Sermon Preached Grace Church, New York on Thanksgiving Day, 1883. Readings and Prayers for Aid in Private Devotion. New York: T. Whittaker, 1887. Preaching the Word: A Charge to the Clergy of the Diocese of Rhode Island Delivered on the Eleventh of June, 1889. Evangelical Principles and Men: A Memorial Discourse on the Character and Services of the Late Rev. Daniel R. Goodwin, D.D., L.L.D., and the Rev. Clement M. Butler, D.D., Delivered before the Evangelical Education Society of the Protestant Episcopal Church Sunday, November 16th, 1890, in the Church of the Holy Trinity, Philadelphia. Philadelphia: Evangelical Education Society, 1890. Beloved and Faithful: A Memorial Sermon on the Life and Character of the Rt. Rev. 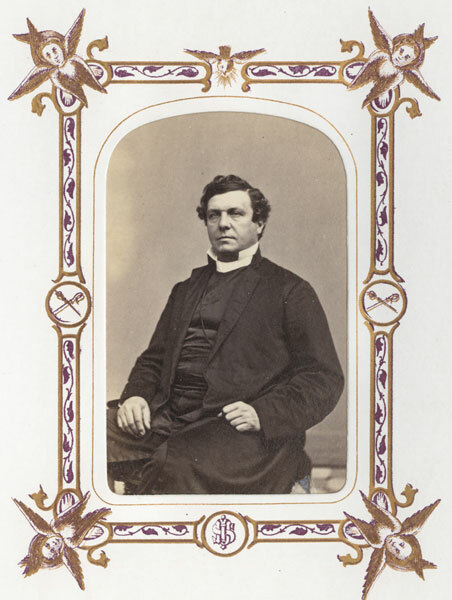 Benjamin Henry Paddock, S.T.D., Late Bishop of Massachusetts. Preached at the Opening Services of the Diocesan Convention, in Trinity Church, Boston, on the 29th of April, 1891.